Will My SSI Attorney Know If My Injuries Qualify For SSDI Benefits? Qualifying for social security disability benefits is a bit of a mystery. They will take your our medical history into account as well as your ability to work. 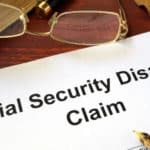 Knowing if you qualify for SSDI benefits is determined by the Social Security Administration, but your disability lawyer in Milwaukee, WI, can help you understand if your disability falls under its guidelines. Some of the considerations that go into determining if you qualify for SSDI benefits include if you are working. While you must have worked in some capacity and paid into social security to some degree, if you are not working and have a disability, you may qualify for SSDI benefits. If you are working in some capacity, the Social Security Administration may not find that you are disabled and may not provide you with SSDI benefits. The administration looks at your current earning per month, and if they are over a certain average wage, they may determine that you are not disabled. Your medical condition also needs to be severe. Your disability must limit your ability to do basic work responsibilities. Activities such as lifting, standing, walking, sitting, and remembering for at least one year are typically considered a serve disability. If the administration determines that you have the capacity to perform any of these activities, they will most likely not provide you benefits for your disability. The Social Security Administration also has a list of impairments it considers severe. While your disability will need to fall within these guidelines of impairments, it doesn’t necessarily mean that you won’t receive SSDI benefits. The administration looks at your disability’s capacity to perform gainful work activities regardless of your age, education or work experience. The Social Security Administration will determine if your disability meets the specific medical requirements of being disabled and meets the criteria of the administration’s guidelines for impairments. If your disability does not meet the criteria listed by the administration, it most likely will not receive SSDI benefits. The administration also looks at your ability to do the work you did before you became disabled as well if you can perform another type of work. If you can work in some capacity despite your disability; the administration will not consider your disability limiting and may decide not to provide SSDI benefits. The administration looks at your age, education, work experience, and skills that could allow you to work in some capacity. If you are unable to work because of your disability, the administration will provide you SSDI benefits; but if you can do other work to some degree, the administration will decide that you do not have a qualifying disability. Can a Disability Benefits Lawyer in Milwaukee, WI, Help Me with My Case? Yes, a disability benefits lawyer in Milwaukee can help you with your SSDI case. They understand how SSDI works and knows the laws for applying for these benefits. With a Milwaukee SSDI lawyer on your side, you can obtain benefits for your disability. A Milwaukee SSDI attorney will help you determine if you qualify for SSDI benefits. They can provide you with answers and give you all your legal options when applying for SSDI benefits. If your application for SSDI benefits is denied, your SSDI lawyer in Milwaukee will help you through the appeal process. They can give you the legal advice you are looking for with your disability case. It is important that you speak to an SSDI attorney in Milwaukee about your disability case as soon as possible after becoming disabled. The application process for securing SSDI benefits is complex and will take as long as three to five months before you are to receive your medical coverage and compensation. Your SSDI lawyer in Milwaukee, Wisconsin, will fight to get you the maximum compensation for your disability. They know that you need the medical coverage and compensation for your disability. They can file your case and help you get SSDI benefits. Let your Milwaukee SSDI lawyer help you with your disability and collect the SSDI benefits you deserve. If you need assistance with your disability benefits, a Milwaukee SSDI lawyer can help. The Milwaukee SSDI attorneys at Tabak Law LLC will take your case. They know the laws for SSDI benefits and will fight to get you the maximum compensation for your disability. Let the Milwaukee SSDI lawyers at Tabak Law LLC help you with your disability case. Contact us today to set up a consultation. We are ready to assist you now.